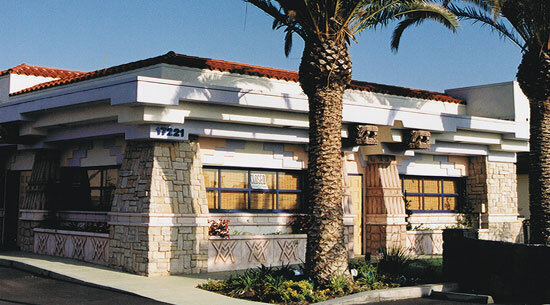 Commercial Projects – RPP Architects & Associates Inc.
Old Town is the heart of the City of Tustin’s heritage. In the route of El Camino Real, not far from the Spanish mercury mines on Red Hill, settlement here was driven by the abundance of fresh water. Gabrielino Indians, native trees, the Spaniards, and early settlers in Columbus Tustin’s town were nurtured in this small inspiring environment. Here in this beautiful area, RPP Architects collaborated with the Tustin Planning Center on the design of mixed-use development in Prospect Village. The project provides housing, office, and retail development in Old Town along Prospect Avenue. The development is set to include 12 three-story town homes with retail and office space on the first floor, and two levels of residence on the top floors. A 9,000 Sq. Ft., two-story commercial building is being proposed on an adjacent parcel. Like other live/work developments, Prospect Village is targeted for the families of professionals such as architects, engineers, and lawyers. The developer has also hinted at the possibility of a coffeehouse, bookstore, or a dress shop. The two-story commercial building is slated for an upscale restaurant on the first floor, with some professional offices or shops on the second. Sensitive to the historical meaning of the given location, the design team proposed brick veneer buildings with generous cornices, reminiscent of the existing, on-site UTT Juice building. 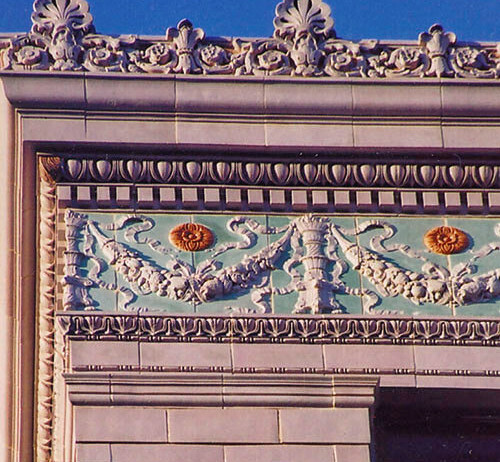 To pay tribute to this characteristic, yetnon-salvageable, building, designers proposed the re-use of the most beautiful cornice parts on the existing building. Major demands in the housing market have caused revitalization and adaptive reuse of historical landmarks-often vacant and underutilized buildings. The Insurance Exchange building conversion to a mixed-use building is a great example of that trend, with a restaurant in the basement, retail stores on the ground floor, residential lofts on upper floors, and a new penthouse on top. The building was designed in 1924 by architect Harvey Lochridge in the Renaissance revival style, and has terra cotta cladding with an outstanding polychrome terra cotta ornamentation. Our developer and architect planned for preservation and restoration of the historical facades of this building, which is an integral part of the Long Beach downtown landscape. The critical fire and building code safety requirements were incorporated in the interior renovation of the structure. 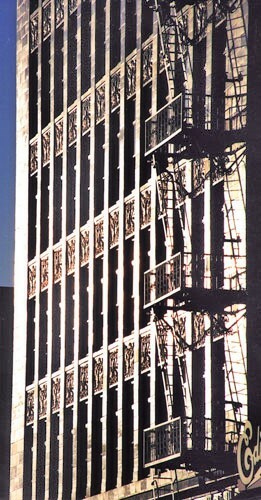 The exterior fire escape was relocated, windows replaced or renovated, terrazzo and marble steps were cleaned, and the interior exit stairs were enclosed. 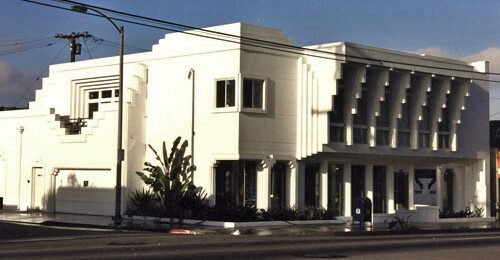 The Hampton office building is one of the best examples of the Tudor style revival. The design incorporates a historical look combined with modern amenities for a contemporary managed office. 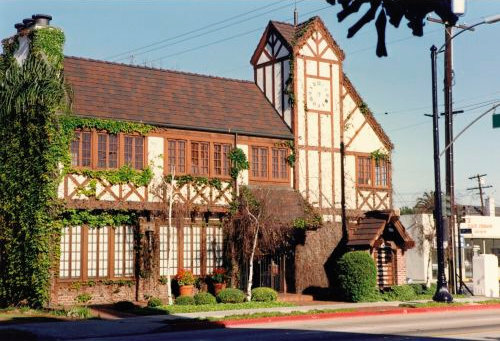 The building has elements characteristic of the Tudor style, including a clock tower, white stucco with brown wood elements, a high roof, and a dense rhythm of window divisions. Even the wall-climbing ivy reinforces the Tudor style. 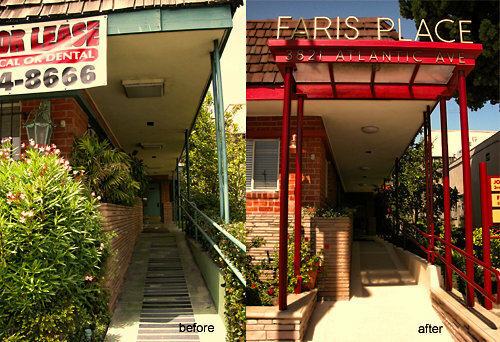 RPP Architects has completed various projects for the City of Long Beach Redevelopment Agency Facade Improvement Program, including design, color presentations to Citizen Advisory groups, and business associations for professional office and retail buildings.Projects included elevations enhancement, new color schemes, architectural elements, and fencing and landscaping for condominium conversions and aging apartment buildings. Chelsea’s Cafe is a delightful place to relax, offering good food, drinks, and live music in an intimate, casual atmosphere. Architect Roger Peter Porter took inspiration from the Tudor style revival to create this elegant, yet casual, environment. The main entry is accented by an arch resting on six elegant columns. The entry is a main feature in the building massing, and creates nice balance with a long, high roof elevation. 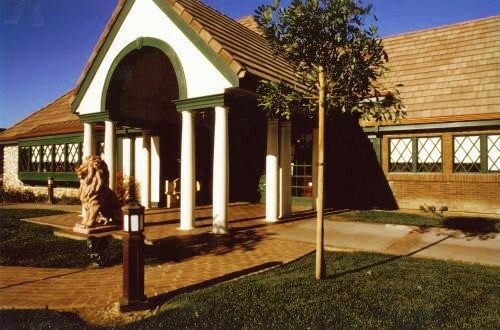 Colors are in accordance with the Tudor style, with brick walls, white stucco, and hunter green painted wood elements. Every detail of this beautiful restaurant is rooted in Mexican pre-Colombian culture. Inspired by Mayan Governor’s Palace in Yucatan, the architect, Sergio C. Estevez, made elaborate roofline work reminiscent of the heavy stone work in ancient Mayan architecture. 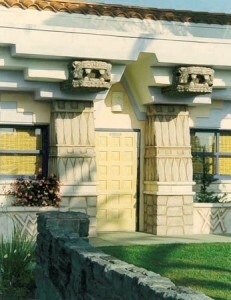 It’s not a literal copy of Mayan architecture, but a rather playful, whimsical version of it, which Californians love so much. The entire floor area does not exceed 5,000 Sq. Ft., yet it serves 52 people. In accordance with Mexican culture, the building is lively and vibrant, as well as entertaining. 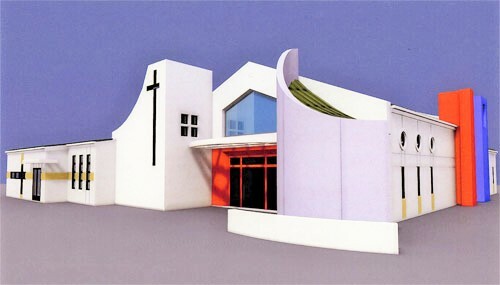 In response to the needs of a vital congregation, with the 80 years long history, RPP Architects designed a new house of worship to be built on this same site as an existing church. The old deteriorated structure did not meet contemporary building codes and functional congregation requirements. The process of applying for a Conditional Use Permit was successful due to early collaboration between Architects, Planners, and local Church Building Council. This project combines worship space with facilities needed for education and social functions of an established congregation. The 9,300 sq.ft. facility includes sanctuary choir, vesting area, meditation/chapel room, community hall, administrative offices, classrooms, nursery room, and kitchen. In order to meet the congregation’s fixed and limited construction budget, the architect and designer worked closely with the structural engineer and the general contractor to develop strategy for constructing the entire building from wood structural elements. The proposed scale of the church fit into the local residential neighborhood. The paved exterior courtyard leads up to the main entrance bronze door. 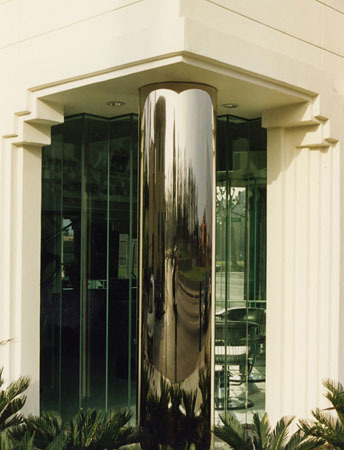 Simple traditional forms are accented by tasteful massing of the front entry finial wall, which literally and in metaphor creates a pass between sacrum and profanum, between religious world and daily life. The white stucco facade is accented with a few bright and vibrant colors like violet curved finial wall, brown entry area, brown and blue at bell tower, nostalgic threads to the rich cultural tradition of the congregation.